This level has medium difficulty. 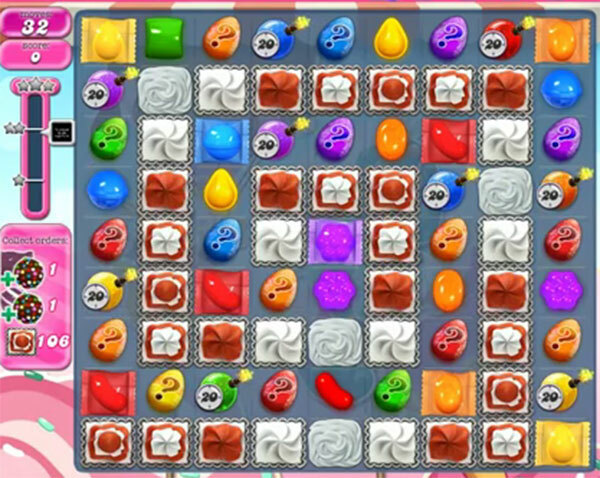 For this level try to play more from the bottom to shuffle the candies and make colorbomb as you get the chance. Combine them with each other to break more blocker and complete the orders. Trying this one a few days now, have used now dozens of color bomb boosters, but impossible to keep the color boms alive and combine them with the striped and wrapped candies. Probably the hardest level sofar. Indeed only 13 moves; not 32 which would make it a lot easier so something is wrong here.